This screen print by street art icon, Banksy, reflects his signature mix of social critique and biting, ironic humor. 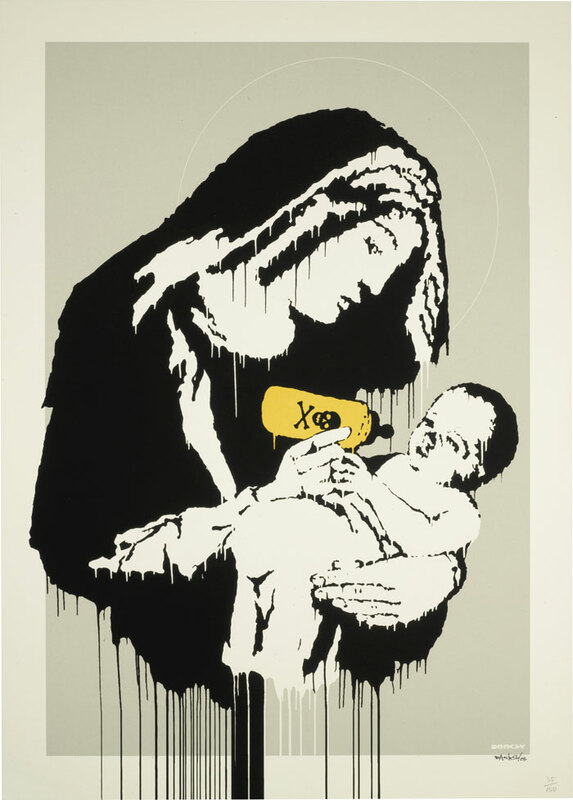 Here, Banksy adapts the traditional subject of the Madonna and Child, as Mary feeds her infant child with a lurid yellow bottle marked toxic. His satirization of their familial relationship, with Mary feeding Jesus poison, is not only a social critique on the toxicity of religion but also on the relationship between mother and son.